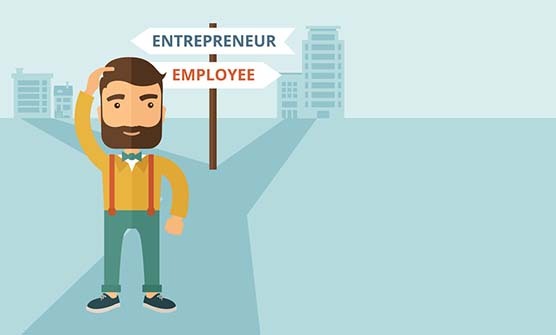 [Infographic] The 8 Types of Entrepreneurs – Which Are You? You may think you have an entrepreneurial spirit coursing through your veins, but not all capitalists are created equal. Depending on your dominant personality traits, the way you conduct business will vary greatly from your peers. 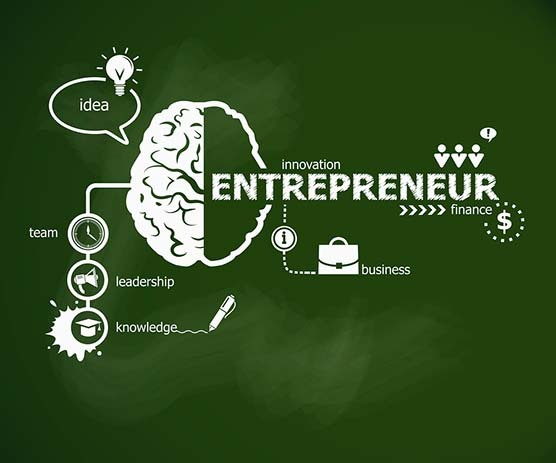 So what kind of entrepreneur are you? We break down the common types, as well as how you can use your personality traits to your advantage. According to Joe Abraham, author of Entrepreneurial DNA, builders are motivated to build a scalable enterprise on a short timeline. These are the kinds of business leaders who launch multi-million dollar companies in just a few years because they have a unique perspective: they concentrate on infrastructure. They’re laser-focused on recruiting top talent and padding the bottom line; there’s no limit to the amount of money they can make. Unfortunately, this kind of two-dimensional focus is the same reason builders can struggle to cultivate lasting relationships. These entrepreneurs may experience a high rate of employee turnover as a result of their Dr. Jekyll/Mr. Hyde disposition. A self-explanatory moniker, the opportunist loves the marketing and selling aspects of the business. Like a well-trained hunting dog, they’re destined to sniff out money-making opportunities at every corner. Opportunists measure their degree of success based on the amount of money they make, so they’re always on the lookout for the next big wave to catch to the top. Impulsiveness is their downfall – caught up in the excitement of the moment, they may not realize a flaw in their business logic until it’s too late. The very traits that make them successful can also be their downfall. Specialists know their strong suit and tend not to stray from it. In general, they’re averse to taking risks and operate under a finely constructed set of rational rules. They examine each business decision with analytical precision and rely on the tried-and-true methods of networking to pursue new leads. They too measure success based on their amount of personal income, but they tend to become complacent as they reach their business goals. What may take a builder a few years to accomplish may take a specialist a decade, given their methodical nature. Many of today’s 30 under 30, including Mark Zuckerberg, fall into the innovator camp. Innovators often start off simply doing something they love but then see the business opportunities as they crop up around them. They’re the happiest tinkering with their ideas, and you’ll often hear them say that “they’re not in it for the money.” They measure their success based on the effect their product or service has on humankind. They tend to eschew the “business” side of their companies, and their enterprises may suffer as a result. The Kolbe Index is a type of personality test employers use to assess a prospective employee’s fit with a company, not unlike the Meyer’s Briggs Personality Inventory. According to the Kolbe test, fact finders are much like specialists in their methodical approach to decision-making. They fastidiously pore over every detail of a question before making the call. Much like you can pull a single thread to unravel an old sweater, fact finders uncover new questions in the pursuit of a decision. This makes them unlikely to fail completely in their business enterprises, but it also makes it hard for them to thrive. If the fact finders are abstract thinkers, then the follow-through are extremely linear when it comes to business decisions. Each step in the business building process follows a logical progression. These entrepreneurs are bound by a well-defined set of commercial moves and tend to value employees that respond in kind. These are the type of leaders who bestow positive reinforcement for continued improvement and a job well done. Heavy hitters tend to be home run sluggers; they want to go big or go home. They don’t care about incremental success and they don’t conduct their companies in a serialized fashion. They don’t tend to be interested in succession planning or big picture planning; they’re focused on what they need to accomplish right now. This type of thinking can be advantageous for short-term success, but they often need a balancing factor to help them (set and) achieve long-term goals. In a world filled with those who think they possess the entrepreneurial spirit, wannaprenuers are perhaps the most ubiquitous. These are the individuals that are always seized by the next big business idea but lack the foresight or drive to follow through. They want to be self-starters, but they can’t muster the drive to get the job done. With a little extra motivation, they could become one of the other types of entrepreneurs. You don’t have to be constricted by one type of entrepreneurial quality; in fact, most successful business leaders are combinations of several types. Bill Gates, for example, is Specialist-Builder, according to Abraham. Being one way or the other doesn’t minimize your chances of success, but knowing your strengths and weaknesses can help you objectively build your business. Strive to surround yourself with people who complement your strengths and minimize your weaknesses. If you’re a heavy hitter, for example, team up with a fact finder or follow througher to increase your likelihood of building a thriving business enterprise. Very Different and nice diagrammatic way to represent types of entrepreneurs. Very Nice. Thanks, Javier. Hope you get some value out from this article.